The primary goal of closed captioning services is to help different businesses in expanding their audiences. By adding appropriate captions to a movie, a TV show, or a video clip for instance, audiences even having the language barrier or hearing disability would be able to fully comprehend what is shown and can then enjoy what he or she is watching. This simply means gaining a larger audience and a better business. A real-life example would be foreign language films that include captions in multiple languages have been able to break into global markets, and these foreign films have achieved high honors in Hollywood. Without the captions, such films would have had great difficulty gaining such vast popularity and not to mention making so much money. When you expand your audience, captions can boost businesses by opening up new cultural horizons to a greater number of people Closed Captioning Services. 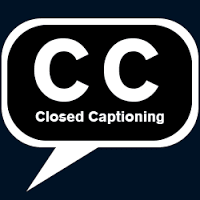 Closed captioning services are the process of converting spoken words and other sound effects into rich texts. The word “closed” indicates that the captions are not visible until it is activated by the viewers. It is usually done through a remote control or a menu option.